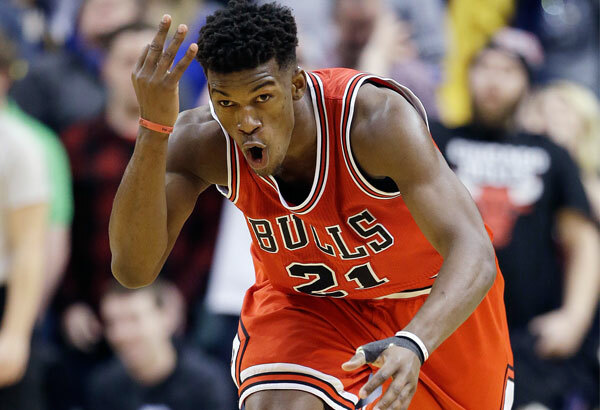 Despite an UGLY fourth quarter and dropping a huge lead to the Indiana Pacers, the Chicago Bulls came through with another win, 92-90, thanks to Jimmy Butler hitting the game-winning 3-pointer and C.J. Watson missing a wide open shot from the corner as time expired. Butler said after the game that Derrick Rose has been on his case to be more aggressive and take more 3-point shots, so Butler took a wild one in a fourth quarter that the Bulls could get nothing going for them. That shot put Chicago up 92-90 with 1:05 left in the game. Both teams failed to score in another display of offensive incompetence we’ve come to get used from the Pacers but not from the Bulls. Watson had a clean corner shot of an inbound pass, but wasn’t close to knocking it down as the Bulls won in Indianapolis after four consecutive losses. Butler led the Bulls with 27 points, once again establishing himself as their go-to-guy in the end, the middle and beginning of games. Derrick Rose had a rough shooting night at 5-of-20 (17 points), and Chicago shot just 2-of-18 from the field in the fourth quarter. The only other field goal was Pau Gasol getting one to bounce his way amid elbows and hands in his face to cut a 3-point Pacers lead to one (86-85). The Bulls held a 75-54 lead at the end of the third quarter but the Pacers came back with a furious rally that included some wild long range shots from C.J. Miles and Chris Copeland, outscoring the Bulls 23-2 during that run and eventually even taking a 3-point lead. The Bulls shot just 34.5% from the field in the game and were limited to 26 points in the paint. The Pacers are bad this season, just 11-21, but their defense and ability to throw teams off their game has been consistent, rather close to their ability during better times when everyone was healthy and the team intact. The Bulls can afford a bad offensive performance from time to time, going under 100 points for only the second time during their seven game win streak. They’re only two games behind the Toronto Raptors, still fourth in the East and leading the Central division. With everyone playing (and they’re not at full strength, as both Kirk Hinrich and Doug McDermott are out), it’s hard to ignore the championship credentials of this group, that seem like the complete package on their good days.